A "ground-breaking" restorative justice program that for decades has offered alternatives to keep Manitobans out of the overcrowded prison system is being slashed by Manitoba's Progressive Conservatives. Restorative Resolutions began in Manitoba in 1993, born out of the need to find alternatives to incarceration for certain offenders. The program, which is funded by Manitoba Justice in partnership with the John Howard Society, allows offenders who face at least six months of jail time a chance to plead guilty, come face-to-face with their victim and come up with agreement with the Crown that will keep them out of jail. This can involve an apology to the victim or paying them restitution for damage done to property. Kate Kehler, the executive director of the Social Planning Council and chair of the Restorative Justice Association for Manitoba, said its success in the '90s received national attention for reducing recidivism rates and offering alternatives to jail time. "It was a ground-breaking program and it was started very grassroots and was so successful it was taken over by the Department of Justice within years of its inception," she said. "When it was presented on across the country, it received nothing but accolades." However, the province says the program is seeing a declining number of referrals from the Crown for possible clients for the program and is looking to reallocate the staff members and resources to somewhere else in the province's community corrections division. "We are realigning those (resources) to a better delivery mechanism. The programs in the past have not been delivering to the level that they should be," Justice Minister Heather Stefanson told CBC News. "We are looking at an overall review of the entire criminal justice system." The John Howard Society was unable to comment on the province's decision to eliminate the program. A spokesperson for Stefanson said as of April of this year, 26 cases were being looked at by Restorative Resolutions. This means 26 cases are in the process of having a plan submitted by the non-profit group to the Crown for acceptance. According to annual reports by the John Howard Society, since 1993 offenders paid $1,636,945.65 back to their victims through the program and over 900 community-based sentencing plans have been submitted to the Crown for consideration. The argument from Stefanson is that other restorative justice programs such Mediation Services, which sees about 300 referrals from the court system each year, can take on the caseload. Onashowewin is an Indigenous-led organization that also offers restorative justice services. 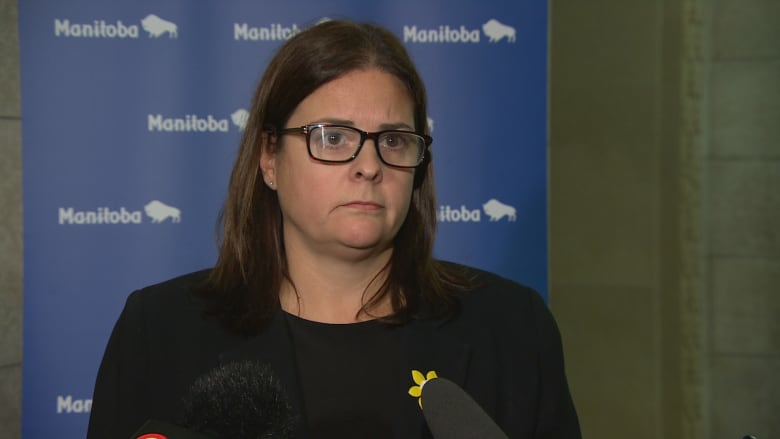 "We are still focused on restorative justice, but we haven't necessarily see the results in the past ... we want to look at if there is alternative way to deliver those services to Manitobans," Stefanson said. The news comes as Manitoba continues to look to ease the burden on its backlogged court system. A four-year pilot project has been proposed that would eliminate the existing preliminary hearing process for less serious charges. According to Statistics Canada, Manitoba has the highest adult incarceration rate at 240 per 100,000 adult population. The proportion of inmates on remand — meaning they are awaiting bail hearings, trial dates or sentencing and have not necessarily been found guilty — have skyrocketed to almost 70 per cent, nearly triple the levels from 15 years ago. Kehler, who used to work for the John Howard Society, said declining referral rates are happening across the province for restorative justice programs. Byron Kean, executive director of Mediation Services, says it receives approximately 350 cases per year, but has the capacity to take on about 200 more. Kehler argues the solution isn't to cut programming, but to shift the culture away from incarceration and towards alternative sentences. It is much cheaper and less of a strain of resources, she argued. "There has been such a decline in referrals, these programs can take more participants but there is a risk aversion as far as diverting cases out of incarceration. It is that short-sightedness," she said. "They need to look at the programs that are still running and bolster those." What Indigenous restorative justice processes look like in Sask.